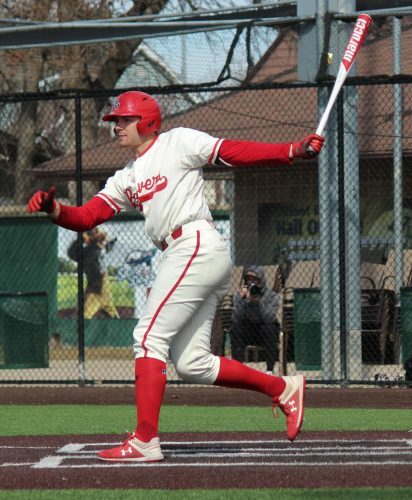 Mason Gifford and Darrel Doll combined for three home runs and nine RBIs and Zach Newman threw seven shut out innings on Sunday as the Minot State baseball team swept Northern State in a doubleheader at Corbett Field. 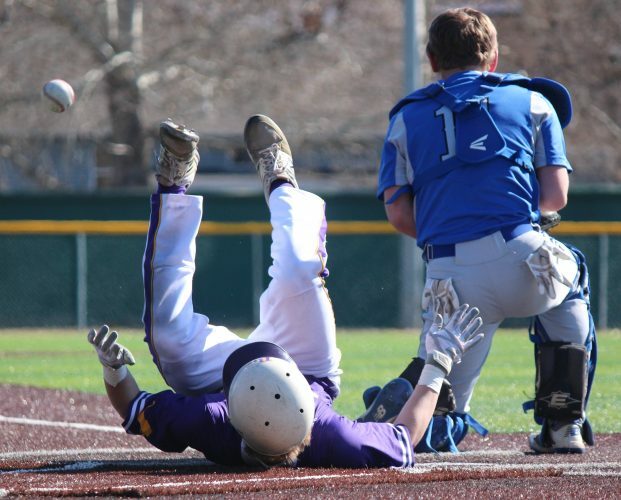 The Beavers won 9-3 in the first game before recording a 4-0 victory in Game 2 to improve to 20-12 overall on the season and 13-6 in the NSIC. Doll snuck a two-RBI double inside the right foul pole to bring home Trevaun Smith and Gifford and give the Beavers a 2-0 lead in the first. The Wolves tied the game with a pair of RBI doubles in the third. Doll opened the fourth inning with a solo shot to right to take a 3-2 lead. Northern State tied the game at three with a solo home run of their own in the fifth inning. 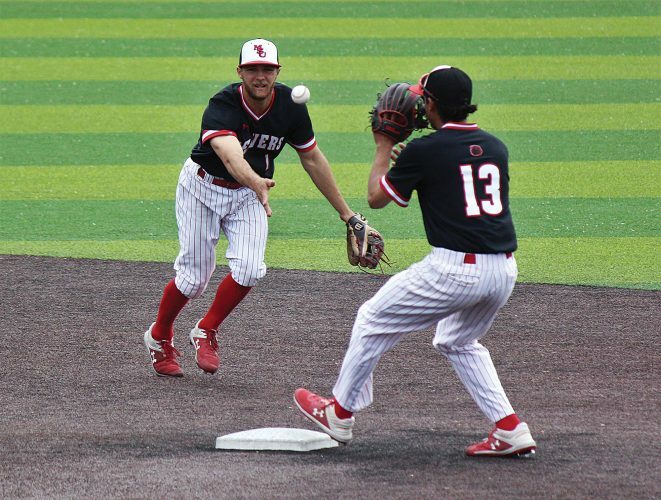 Jackson Pokorney touched home on a fielder’s choice by Smith and Michael Borst drew a walk with the bases loaded to give Minot State a two-run lead in the sixth inning. 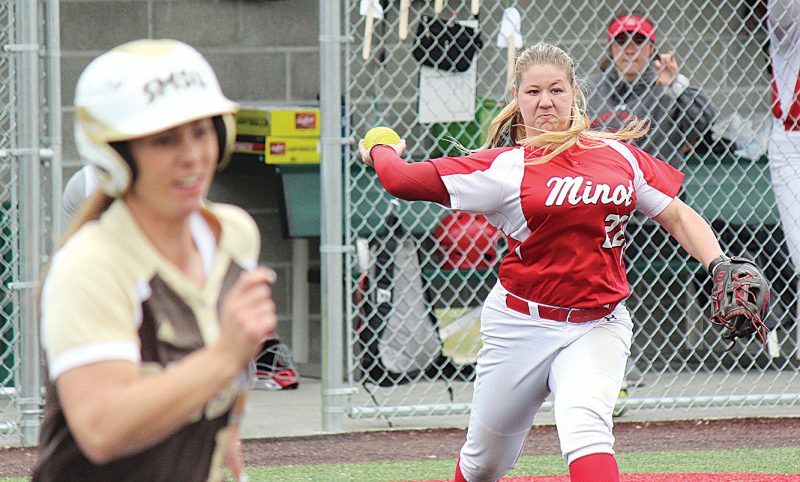 Gifford blasted the grand slam down the right field line to clinch the 9-3 victory for Minot State. 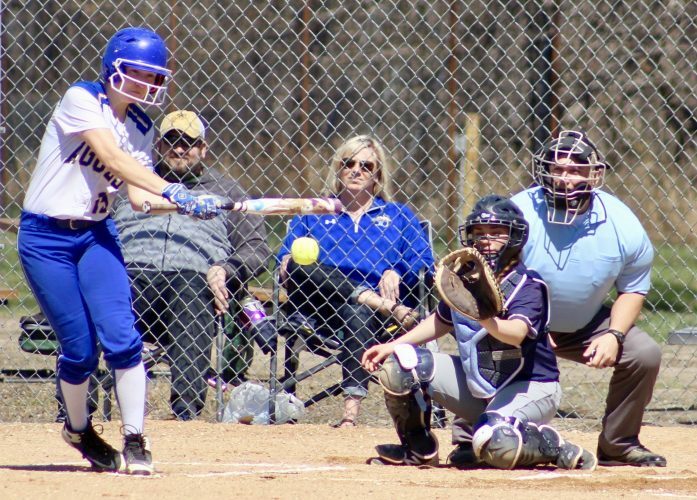 Smith opened the game with a single and scored on an RBI double by Borst. Borst came around to score on a bunt single by Doll to give the Beavers a 2-0 lead. Doll began the eighth inning with his second solo home run of the day to extend the Minot State lead. Wyatt Schlosser singled to third base before scoring on an RBI single by Jake Collins to score Minot State’s fourth run of the game. Newman struck out nine batters and surrendered three hits in seven shutout innings. Aaron Kern and Jack Gamba each pitched an inning, as the duo combined to retire the final six NSU batters. The Beavers and Wolves conclude the three-game series with a nine-inning game at 10:30 a.m. this morning at Corbett Field.